A warning came up today telling me the front and rear right hand tyres were around half the pressure they should be. I checked the pressures and they are fine. Strange that it faulted 2 tyres at the same time. Is there anything I can look at or try, to see what's going on ? If the sensors are of equal age, then it's reasonable to assume that the batteries are equally discharged which could be the issue? I washed my car this week and then next day one of the tyres was showing under pressure ? I pumped it up and although it’s showing the same as the corresponding tyre the warning light and still flashes ? its happen before to front pair and after putting a little air the warning light corrected itself ! Not sure if washing the car has been the trigger but it seemly it’s looks like the case? Don’t know if the batteries have ever been changed ? 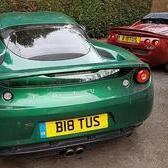 the Evora going for it’s MOT on Monday so hopefully this element won’t fail it’s MOT ? Related to this, does anyone know what batteries the TPMS modules take? They are sealed units. Once the battery is dead, the entire unit has to be replaced. It is an old GM/SAAB part, which can still be sourced from the USA. Oh really! That's a bugger. About to fit my aftermarket wheels and transfer them over. Was going to refresh the batteries beforehand. Oh well. I'll transfer them over and see how long they last (already 8 years old). They won’t last for long. I think that 8 years is already beyond their design life. You’ll be better off buying a fresh, new set. If you run a search on here, you should be able to find the old GM/SAAB part number. They are much cheaper than the Lotus part number (surprise, surprise). However, it would be worth double checking the part numbers via Googoo etc. Thanks heaps for that mate. Appreciate that. That price is actually not much more than the service kit I was going to order from the US, so def worthwhile. I haven't tried these but they look the same. Well my car is 9 years old so that would tie in with the battery life expectancy then. Is fitting a potential diy job or would have to be done by a tyre fitter or something? I found it easier to find new sensors by doing a search for Schrader sensor part# 20159. Is fitting a potential diy job or would have to be done by a tyre fitter or something? The tyre has to come off (or, at least, the ‘bead broken’) to fit the sensor. So, unless you happen to have a tyre fitting machine at home, ( ) it’s a job for the pros. I had the same thing myself but it turned out that the valve needed a little tightening. Once I did this, the warning light went off after I drove it for a few miles. It may be worthwhile trying this before you buy new sensors? Thanks mate. Seems to be $480 by searching this part Number. The link above is $49. Might be the difference between genuine and knock off. Assuming the knock off ones still work, I guess it's worth a shot going with the cheaper option. These don't work I've tried them. Is there a way of testing these off the car. ie. without pressure being seen by them? Thanks for that David. About to pull the pin, so saved me the unnecessary purchase! Guess the other cheaper ones above are likely in the same boat then. Don't really want to spend $500+ on the genuine ones right now (given wheel / tyre purchase), so I'll just replace them as they fail in the coming months / years. Don't they need to be 'woken up' before they start transmitting? I assume this is the reason there's no pressures on display for the first 30 seconds or so after setting off. Would make testing tricky. also found these, but again I haven't tried them. I have a TMPS machine and the sensors from China don't work using the Evora settings. They do work if you set the machine to SAAB so its not an activation issue. If you want to buy some and send them to me I can code them for you for nothing if you cover postage. I have 4 Autec sensors on my car and they work perfect they also fit the wheels better as they can tilt in towards the rim so they seal better and work perfectly on Forged wheels. You can buy a set of 4 for £88 so quite a saving. I was going to buy a couple of sets and start coding them and selling them on Ebay as they work on any car once they have been coded but I decided I couldn't be bothered with the hassle of selling on ebay etc. If you do these, I will take a set. Let me know. Thanks. Yes, thanks mate. Very kind of you. I'll likely do this in the near future. Unfortunately don't think I'd have time to post to you and post back (Australia) before the wheel fitment, so I'll likely get th TPMS sorted down the track a little. @DBG Sorry I saw your location after I posted never mind! @Bruss Let me dig out the machine tonight and get back to you as its sitting in my garage somewhere. Just for info, relating to Clive's post near the top of this thread the TPMS warning lamp is an MOT fail for cars first used after Jan 1st 2012. The below is from the government website. From that, I assume pre 2012 cars will be exempt from that part of the test - that's the way I read it. The TPMS warning lamp (see diagram 3) can operate in many ways depending on the vehicle type. You must only reject vehicles if it's clear that the lamp indicates a system malfunction and not simply indicating that one or more of the tyre pressures is low. 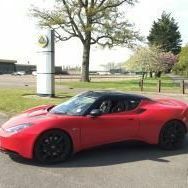 I took my car to Central lotus today for its MOT and it passed no advisories /issues ! Thank goodness ! however the tyre pressure warning light is still on the pressure still flashing despite saying identical to corresponding tyre ? Central lotus cleared the code but their computer said a different tyre ? Anyway I will just leave for for a few more journeys and miles then see if the light disappears like last few times ??? ?